IN the fall of 1944, a commis­sion of U. S. Army officers, from the Office of the Chief of Ordnance and from the Chief of Engineers, received orders to look for an area which was suit­able for the test firing of large mis­siles. The reason why this happened in the fall of 1944 is simple. Dur­ing the middle of June of that year, the German V-l buzz bombs had been streaking across the Channel from France to England. Early in September, the first V-2 rockets followed. The missile age was on. The United States needed a missile proving ground, but no longer for a war that happened to be still going on. The commission studied maps, read annual weather summaries and then made a few trips. As the outcome of their studies and in­spection trips, they recommended an area north of El Paso, Texas. The Secretary of Defense ap­proved the choice on February 20, 1945—the war in Europe had only some weeks yet to run—and the area became established and later famous as the White Sands Prov­ing Ground. It begins at the Texas-New Mexico state line to the north of El Paso and runs due north from there for 125 miles. Its greatest width, from Alamagordo on to the north, is 41 miles. "An immense area for the ballis­tics of the future has been staked out," said the editor of a New Mexico newspaper as soon as the facts could be released. FIRST rocket to be fired from the new proving ground was a WAC-Corporal, on September 26 of the same year. It went to a height of 43 miles in a vertical shot. Anybody who knew some­thing about ballistics could calcu­late in his head that that meant a maximum range of about 85 miles—if the WAC-Corporal had been a missile and not a research rocket, that is. On April 16, 1946, the first V-2 rocket was fired. It misbehaved and its flight had to be terminated by radio command. The next V-2 was ready on May 10 and rose, as programmed, to about 70 miles, hitting the desert 31 miles to the north of the firing site. Counting from the date of the Secretary's approval, the White Sands Proving Ground was one year, two months and three weeks old. And it was too small! The Germans had fired their V-2s for range, reaching between 190 and 200 miles; the lower value being the operational aver­age, the upper value the opera­tional record. At White Sands, you could fire V-2 rockets for altitude, but not for range. It took a few months until the facts of life were courageously faced, but in October 1946, another committee was es­tablished. It was to look for a long-range proving ground. I don't know whether some of the members of the new commis­sion had also been members of the first commission, but the new com­mission surely could read the re­port made by the first and retrace its reasoning. The reasoning then had been that the missile should be recovered for inspection and study after impact. Logically, then, the impact area had to be a desert. Inhabited land was out and a swamp would not do. And naturally the impact area had to be in the continental United States, not some other country. Fortunately, we don't have deserts much larger than the one that was picked. For longer ranges than 200 miles—and those Ger­man engineers cheerfully wrote equations proving a range of at least 600 miles with a single stage and any range at all with three stages—only the ocean would do. Now, of course, we do have two long shorelines and the firing site could be just about wherever it was convenient. Impact would have to be in the ocean in a sec­tor where ships did not normally sail. These two points were easy. But what about in between? In between, there should be a place, or places, where somebody had the necessary instruments to track the flight of the missiles. The Pacific coastline has hardly any nearby islands. In the northern portion of the Atlantic shore, you could, on a map, draw a flight path which first skirted Long Island for its whole length and continued over Nova Scotia and Newfoundland. But these are waters which are not only-well traveled but virtual­ly congested. A place in the southern portion of the Atlantic shore remained the only choice. There was an island chain that could be used, the Ba­hamas. Beyond that island chain there was Puerto Rico. The Baha­mas are British, but maybe we could come to terms with the Brit­ish government Now, supposing the Bahamas could be used for tracking stations, what should one pick for the launching area? THE commission looked at a map of Florida. There was one place that jutted out into the ocean; on the map, it measured a little over 16 miles from the main­land. The geographical situation is this: Between the mainland and the land farther to the east, you first have the Indian River. Then comes Merritt Island. 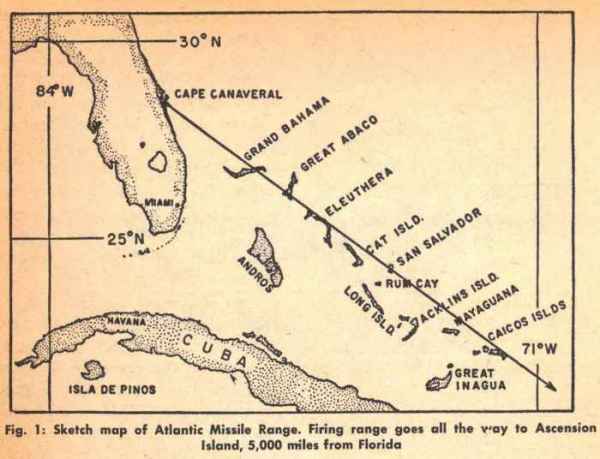 Then the Banana River, and then the next strip of land which terminates to the east in a sandy cape: Cape Canaveral. The Cape is sandy. So is Mer­ritt Island and so is the mainland. Where the land is not cultivated, you have mostly scrubby under­growth, interspersed with palmet­tos; as soon as you cross the Indian River, these begin to look under­nourished. In short, the Cape does not look "tropical" The tempera­ture is tropical, however—at least in August, where it is rarely less than 95 degrees during the day with the humidity being about the same figure. It is typical of people that, when asked about animal life in their area, they mention the unpleasant types first. The answer I got was: "Well, we have coral snakes, and cottonmouth and plenty of rattle­snakes. And, of course, alligators." I am sure that other things must live there too, but they were not mentioned in conversation. As for signs of civilized activity, Cape Canaveral had, for years, a lighthouse. The lighthouse is still there among the missile pads, but for a long time it was all by itself. At some time, the Navy had picked out a few square miles of land and designated it the Banana River Naval Air Station. On June 20, 1947, the commis­sion recommended Cape Cana­veral as the most logical available long-range missile-launching site and suggested the Naval Air Sta­tion as the headquarters area. This recommendation was approved three weeks later, and with that the wheels could be set in motion. Quite a large number of wheels were involved. First the area had to be transferred from the Navy to the Air Force. I'm not sure that this was a simple step, but it certainly was the simplest of all the steps that had to be taken. The next was to start negotia­tions with Great Britain about the establishment of tracking stations on the Bahamas. These negotia­tions were actually concluded in February, 1949, but at that mo­ment they were still useless. First Congress had to pass legislation which made the long-range missile-proving ground possible at all. Con­gress, naturally, would not pass any legislation involving a foreign power if it was not certain that said foreign power would play along. Then things happened with rea­sonable speed. Congress passed the necessary legislation which President Truman signed on May 11, 1949. On October 1st of the same year, the proving ground was activated. The signing of the agree­ment with Great Britain was, for reasons unknown to me, delayed until July 21, 1950. IT was high time that those signatures were put on paper—Cape Canaveral fired its first rocket only three days later! It was a Bumper rocket, consisting of a V-2 as first stage and a WAC-Corporal as the second stage. Three days later, another Bumper was fired. Well, Cape Canaveral may have been in legal existence and also activated as a military establish­ment but one could not say that it was "ready." Robert P. Haviland, who was in charge of these two Bumper shots, reminisced later that at White Sands there had been ten feet of concrete be­tween him and the missile; at the Cape, it was a pine board one inch thick! He lacked confidence in the strength of a pine wall. Luck­ily, that strength did not have to stand a test. All this has changed since then. I remember the blockhouse near one of the Atlas launching pads. Its shape is best described as that of the carapace of a marine turtle. I don't know its size in feet yards or meters. But it is large. As for position, imagine that the giant marine turtle points to the launch­ing pad with its tail. Where the hole for the neck would be in the carapace is where you enter. There is a steel door that looks like the door to a bank vault. Everybody, no matter what secrecy may pre­vail in other matters, will assure you that the people in the block­house might be trapped for a while if a missile fell on top of ft, but that they would be safe. 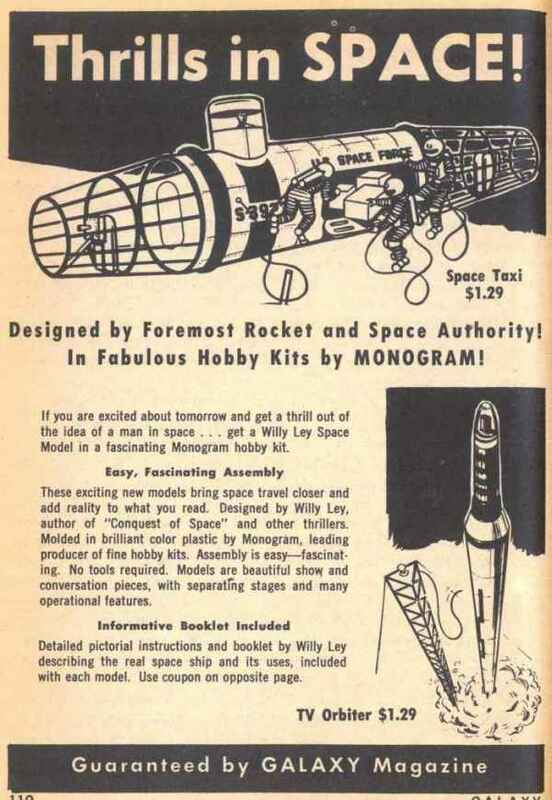 The arrangement of the various launching pads follows a simple plan. 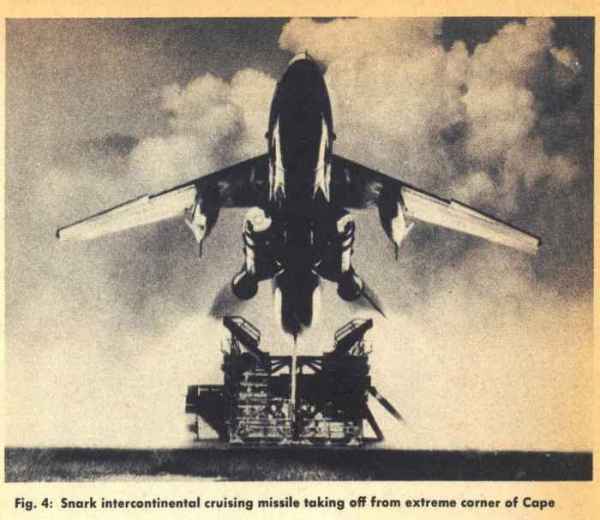 The extreme corner of the Cape is reserved for the Snark and the Bomarc. As you look north (more or less) from that cor­ner, you have four launching pads for the Atlas. Beyond that are the launching pads for the Titan. Be­yond that there is room for things still to come. Look the other way (more or less southwest) and you first have the area for the Navaho. 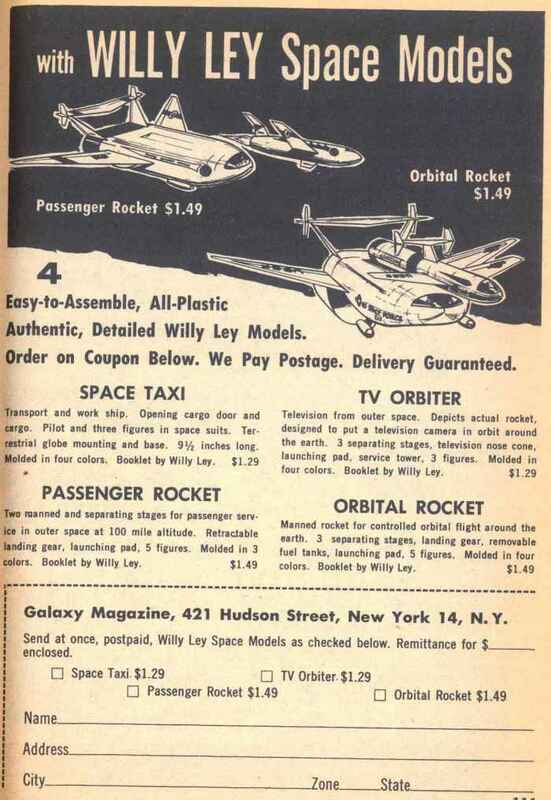 Then comes the launching pad for the Vanguard, then three pads for the Thor (one of them for lunar probes), then the Army's launch­ing pads for Jupiter, Redstone and satellite-throwing Jupiter-C rock­ets, and finally the "ship's motion simulator" for the Polaris rocket. Then comes a canal for a harbor which is called the turn-around basin. Farther inland are three build­ings I recall for personal reasons. Let me mention the cafeteria first, because my personal reason is so simple: it is beautifully air-conditioned, which, after riding around in 95-degree heat, is a major point. The second building I remember especially is Central Control, about which more later. And the third is officially called Telemetry 3. It is fairly in the center of the whole complex. I haven't been inside, but for three nights in a span of five days I was on top of it, seeing (in that order) a Jupiter-C rocket, carrying Ex­plorer V, a Jupiter missile and a three-engine Atlas fired. TO the south of the Cape area, you have twelve miles of civil­ian territory. It is full of motels, called Sea Missile Motel, Van­guard Motel, Satellite Motel and Starlite Motel, all efficiently air-conditioned, all temporarily filled with service brass and missile men and all also inhabited by tourists who stare at the generals and the missile men. I derived a small amount of private amusement from the fact that the manager of the Starlite bears the name of Landwirth. This German word has two meanings; the one that flashed into my mind is its meaning of "Country Inn Keeper." Country? Well, yes, you can say so, since it isn't a city. But inn? With neon signs, hot and cold water, long lines of Cadillacs and air-conditioning? Just to finish up the geography: to the south of the civilian area is Patrick Air Force Base. There doesn't seem to be much secret there. Airplane hangars, an Air Force Weather Station and office buildings. And—oh, yes, an offi­cers' club with a room named T.G. I. F,, which stands for Thank God It's Friday. Unimaginative outsiders might think it is just a bar. Having made clear, I hope, that Patrick Air Force Base and Cape Canaveral are not the same thing (everybody seems to make that mistake; I myself did before I got there), it remains to give Cape Canaveral's official name. For years it was known as A.F.M.T.C. or Air Force Missile Test Cen­ter. But it is not all Air Force as far as the missile pads are con­cerned. The Navy is there and so is the Army. More recently the N.A.C.A. (National Advisory Com­mittee of Aeronautics) has moved in with a number of high-altitude research rockets, and when the new National Space Agency gets going, they'll no doubt send a rep­resentative to see General Yates, asking for a corner of the Cape to put up their things. So the new official name is At­lantic Missile Range. 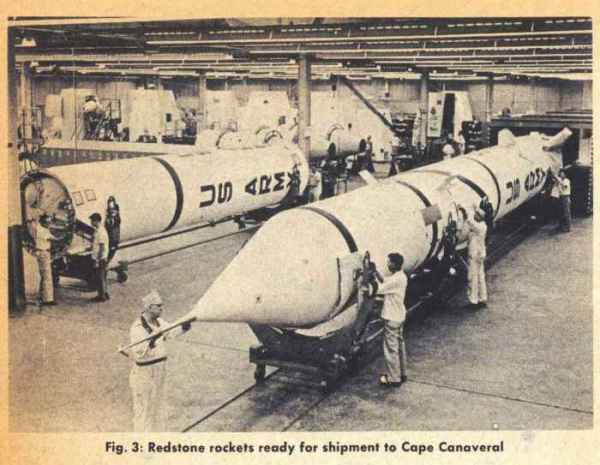 Now we come to what is called "down range," those island sta­tions which are the real reason why Cape Canaveral became the Atlantic Missile Range. The first of the down-range sta­tions is still in Florida, near Palm Beach. Its name is Jupiter Inlet The first island tracking station is on Grand Bahama Island, 152 miles away. The next one is on Eleuthera, 290 miles from the Cape. Then comes the one on San Salvador, 414 miles away. The next one, Mayaguana, is 544 miles away. Station No. 7 (Patrick is counted as Station No. 1) is on Grand Turk Island, 660 miles away. Station No. 8 is on a big­ger island, in the territory of the Dominican Republic. And Station No. 9 is on the west coast of Puer­to Rica It is named Mayaguez Air Force Base, after a city on Puerto Rico which is about 30 miles from the tracking station. AT first, this thousand-mile range from Florida to Puerto Rico was thought to be long enough. Then "down range" had to be extended to the tiny island of Santa Lucia, all of 27 miles long and 14 miles wide. This made "down range" 1400 miles long. The next logical checkpoint would have been the extreme eastern tip of South America. But it was not necessary to go to the mainland; there was another small island available which one Count de Noronha had discovered in 1503. Logically, the island is named Fernando de Noronha. The current last link in the chain, or Station No. 12, is Ascen­sion Island in the middle of the South Atlantic, about four times as large as Fernando de Noronha in area. It is 4400 miles from the Cape. Beyond it is mostly open sea, but the simple facts of physics are that if you shoot a rocket much faster than you need for this range, it will go into orbit. Now there is a 2000-mile gap between Puerto Rico and Fernan­do de Noronha, and another 800-mile gap between the latter and Ascension. To fill these gaps, there are sea-going tracking stations, trim ships full of instrumentation. They are of two types and their total number was thirteen in Sep­tember 1958. It seems hard for the outsid­er to grasp that all this, the area of the Cape with its buildings and equipment worth $400,000,000, its 19,000 people and all the down-range stations over thousands of miles, should just be considered a laboratory. As a matter of fact the term should be even more cur­tailed; it is just a testing labora­tory. They don't "invent" missiles at the Cape. They don't even build missiles. All they do is test them. Testing means to find out (A) whether something goes wrong and (B) what did go wrong if something did. Since testing means finding out, you have the para­dox that what looks like a spec­tacular failure can be rather suc­cessful as a test. THE favorite example told around the Cape is the failure of the first Atlas. The rocket started gyrating, tumbling and in general misbehaving. Finally it had to be deliberately destroyed in midair. But when all the test results were in, it was discovered that these amounted to about 95 per cent of what the engineers had wanted to find out. The press labeled it a failure, plain and simple, and one newspaper even wrote an editorial that the whole program ought to be scrapped since the missile was so obviously unworkable. Now if that rocket had made a flight which the spec­tators had thought perfect, it would have been only five per cent bet­ter than the "failure" that actually happened. That does not apply to every shot that goes wrong. Testing is one thing, but if you shoot for a mission, the story is different. A lunar probe that does not go to the Moon, a Jupiter-C that does not throw its top stage into an orbit, these are near-failures. I use this term because something is learned even in such a case. But if a rocket is fired just for testing, there cannot be a failure. Now what happens to a missile when it gets to the Cape? It arrives from the manufac­turer often by air lift, some, such as the Atlas, by trailer truck. The first job is what is called a han­gar check. Was anything damaged in transit? Do all the electrical connections work? Did sand or dust get into the missile? After the hangar check is completed, the missile goes to its launching pad. In its Gantry crane, the check­ing begins all over. This time other things are added. More in­strumentation, for instance. In gen­eral, all the missiles are weighed down with instrumentation which nobody in his right mind would put into the finished product. They are testing, remember, not firing rockets for amusement. A test fueling is part of the test­ing procedure on the pad, during a dress rehearsal count-down. Such a count-down will be interrupted for all kinds of reasons. The strangest such "hold" on record occurred when the contractor's testing crew suddenly discovered an alligator in their block house. One of the officers tried to console them by saying that the alligator's presence was not authorized, but the engineers were in no mood for legal points—they rarely are—and called a hold until somebody removed the visitor. In time, everybody is satisfied that things should go well. The event itself is called a "shoot"—except by the people who do it. They prefer the term "launch," which inevitably gave rise to the telephone reply: "No, you can't talk to Dr. Soandso now; he's out to launch." The time for the launch is set let's say, at 2300, or 11 p.m. EST. Incidentally, it depends on the test phase a missile is in whether the launch is during the day or during the night. When the missile is new, visual observation is ob­viously important hence firing takes place in daylight. Later on, when all the information still to be gathered has to come from the instruments, the firing might just as well be scheduled after sunset when it is cooler. SINCE this is testing, one has to count on something going wrong, in which case the missile must not be permitted to fall where it could do harm. To insure safety for outsiders, lines must be established on a map. In the cen­ter is the line which indicates the desired flight path. At some dis­tance to the right and left of this line, two lines are drawn which are called the impact lines. If the missile has to fall, it must fall in­side these impact lines. But how? Let us assume that missile runs off course in the direction of one of the impact lines. Then it has to be destroyed and its pieces must still fall inside the impact lines. Naturally there is a point which marks the last possible mo­ment for destruction. All these points form the two "destruct" lines inside the impact lines. If a missile crosses a "destruct" line, it must be destroyed. The width of the band between the destruct lines and the bands between destruct and impact lines vary for every type of missile; of course, no actual figures are handed out. The Range Safety Of­ficer in the Central Control build­ing cannot see anything directly, just like the people in the block­house. They don't look through windows—they look at TV screens. And the Range Safety Of­ficer has another device to aid him, the impact computer. The impact computer gets its information from the radars and from instruments in the rocket and goes through a continuous process of calculation. The results of its labor appear on a map with two pointers. One pointer shows where the missile is at this instant. The other pointer shows where it would hit the water if its propulsion failed at that instant. The Range Safety Officer's means of interfering consist of two toggle switches. One is labeled "fuel cut-off," and when thrown, the result is what the label says. The other switch is labeled "destruct" and it also does what the label says. They must be used in succession—the "destruct" switch will do absolutely nothing if the cut-off switch has not been used. So time has been set for 2300. At T-150 (minutes), all down-range stations are ready. All radars are in fine tune and no tracking camera is jammed. The devout hope is that they'll stay that way and at T—150 two airplanes take off. One is radar-equipped and sees to it that there are no ships between the impact lines. The other monitors all the radio fre­quencies to be used to see that there is no interference. The damnedest things can hap­pen. Once a radio-equipped laun­dry delivery van in a town many hundreds of miles away caused interference! Another safety measure is to divert all scheduled airliners. If no shoot is planned, the New York to Miami non-stop flight goes straight through the missile track, though probably at a different alti­tude. AT T-150, there is still not an ounce of fuel in the mis­sile, unless it is a solid-fuel job. Fueling comes last, after the prob­ability that anything else may go wrong has dwindled to virtually nothing. Visitors usually assemble at T-90 in the office building at Patrick Air Force Base and are brought to the Cape by Air Force bus. The bus stops at Telemetry No. 3. (Usually a coffee and sand­wich wagon arrives at the same time.) When the visitors emerge from their bus, a message waits for them. It says "T-50 and count­ing." Fifty minutes to go and no problems. By the time everybody is on top of the building, where there are a dozen phone booths for the use of the press, and by the time the newsmen have set up their cameras, a loudspeaker has been connected. "T minus 25 and count­ing," it will say suddenly. On the evening I have in mind, the sky was clear, with all the stars out. Fairly high up, there was a nearly full Moon, and lower in the sky a red star was conspicuous: Mars. Things looked as if they had been arranged by Chesley Bonestell. Near the missile being made ready, a bright red light kept flash­ing. It is the customary signal that a missile is being readied. Expressed in words, it just means "Stay Away." As the loudspeaker said "T minus 20," a battery of floodlights was switched on. The big rocket—it was an Atlas—was clearly visible. To anybody who did not know what was going on and who looked at the rocket through binoculars, it must have seemed as if some­thing had gone badly wrong. The rocket just spouted white vapor, top and bottom. The white vapor—actually atmospheric moisture condensing because of the cold oxygen gas that came from the tank vents—looked luminous and quite dense under the floodlight And the flashing red warning light made it appear as if a flame were developing any moment. "She's still loxing," said some­body who had just looked through the viewflnder of a powerful tele-photo camera. That strange term is derived from the unpretty ab­breviation for liquid oxygen: lox. The white vapor thinned. The valves must have been closed, or at least some of them. Close now, last and probably un­necessary camera adjustments. "T minus 15," and then, ap­parently without pause, "7 . . . 6...5...4...3..."
At "T minus 3," the two small vernier rocket engines began spouting their thin flames. Im­mediately afterward, the whole launching pad lit up as if from an explosion. All three major engines spouted fire. The rocket lifted. After two seconds or so, it had lifted itself out of the area illu­minated by the floodlights. The rocket became invisible; only the bright flames from the exhaust nozzles were there against the dark sky. All this was apparently without the faintest whisper of a sound. But at about the instant the rocket itself became nearly invisible, the sound had traveled the distance from launching pad to Telemetry No. 3. The thunder hit us and the roar seemed to get even stronger as the triple flame lifted upward. I THOUGHT somewhat automatically that the exhaust flames looked "good" and that the roar was "normal," but these were side thoughts. I followed the flames as they lifted up. Higher, going faster, up, up. The rocket now seemed to be overhead and the flames were foreshortened. They changed into a most brilliant star which dwin­dled in size but did not seem to lessen in brilliance. Meanwhile, the loudspeaker continued counting, the so-called plus count, sounding unemotional and impersonal. At that instant, the star got much smaller. The two boosters had used up their fuel and only the main rocket motor kept going. I kept it in my glasses. The star was quite small now but still bril­liant. At "Plus 250," it suddenly disappeared. Brennschluss—burn­out. The missile was on its way. And we went on ours.